House prices in the UK increased by 7.2% in the 12 month to December 2016 taking the average property value in the country to £219,544, the latest index data shows. Month on month prices increased by 1.4% since November 2016 taking the monthly index figure for the UK was 115.2, the figures from the Land Registry. A breakdown of the figures shows that in England prices increased by 7.7% which takes the average property value to £236,424 and monthly house prices have risen by 1.6% since November 2016. In Wales prices increased by 4.7% which takes the average property value to £148,177 and monthly house prices rose by 1%. In Scotland the average price increased by 3.5% over the year to stand at £142,000 and in Northern Ireland it was up 5.7% to £125,000. In London prices increased by 7.5% year on year to an average of £483,803 and by 1.8% month on month while the East of England saw an annual rise of 11.3% but elsewhere the growth was less. The biggest monthly increase was 2.3% in the North East but it also saw the lowest annual growth of 4.1%, the data also shows while the West Midlands saw the most significant monthly price fall with a fall of 0.4%. Sales slowed with the number of transactions up by 0.2% between November and December 2016, but compared with December 2015 there were 8.5% fewer home sales. The most up to date Land Registry figures available, show that during October 2016 the number of completed house sales in England fell by 34.5% to 58,853 compared with 89,884 in October 2015. Meanwhile, the number of completed house sales in Wales fell by 25.9% to 3,415 compared with 4,610 in October 2015, the number of completed house sales in London fell by 44.9% to 6,166 compared with 11,200 in October 2015. While good news for sellers, the continued house price growth makes it hard for aspiring first time buyers, according to Ishaan Malhi, chief executive officer of online mortgage broker Trussle. ‘House price growth picked up significantly in December, making it even harder for the current generation of hopeful first time buyers to afford a home. Fortunately the mortgage market is particularly competitive at the moment and it’s never been easier to compare deals, so those with deposits already saved should be heading online to find a broker that will help them consider all of their options,’ he said. 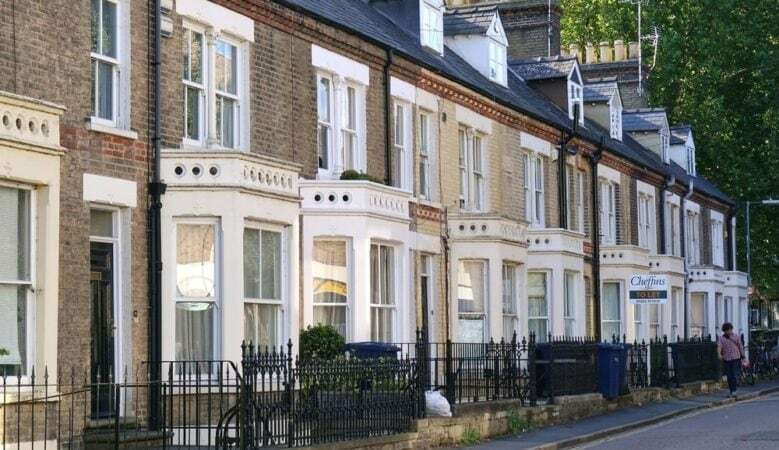 With the Government’s Housing White Paper recently published, the index reinforce the challenges ahead, according to John Eastgate, sales and marketing director of OneSavings Bank. ‘Supply shortages have been the major contributor to rising house prices and these look set to rise steadily, outstripping real wage growth, stretching affordability and causing tension amongst long term renters and aspiring home owners alike,’ he said. An increase of 7.2% annually heading into what is a quiet time of year for the market and an increase of 1.4% in prices and an uplift of 0.2% in transaction volume month on month, is a promising sign indeed for the year ahead, according to Russell Quirk, chief executive officer of eMoov. ‘Not only did the London market see healthy growth despite the changes to second home stamp duty tax brackets, but there is also positive signs across the rest of the nation. The market in Wales, in particular, has really suffered of late and so a 1% boost on November’s figures will be a welcome sign for Welsh home owners,’ he pointed out. ‘This latest market insight should spur a renewed confidence in UK home owners that we have very much weathered the storm and that UK property is an attractive a proposition as it has ever been, whether you are buying or selling,’ he added. Rob Weaver, director of investments at property crowdfunding platform Property Partner, believes that with December in particular seeing a higher than expected rise in annual prices, property is set to be a robust investment once again in 2016. But he also pointed out that the critical shortage in supply alongside ultra-cheap borrowing rates are supporting house prices and that looks set to continue. ‘Until more properties are built for both buying and renting, the market for investors looks positive as prices continue to move upwards although overall at a gentler pace than before,’ he explained. ‘Tax changes, stricter lending criteria and regulation appear to have been somewhat dampening buy to let demand but owner occupiers remain the driving force behind prices, particularly in the regions,’ he added. He also explained that despite a 1.8% uptick in London in December, the rate of property price growth has been softening, with the capital underperforming the national average for the first time since the financial crisis of 2008. ‘While prime central London has hit something of a wall, outer London boroughs are still recording double-digit price growth. The Crossrail effect and certain regeneration areas seem to be having an impact. The closer we get to the stations opening next year, buyer demand should intensify by the attraction of shorter commuting times,’ said Weaver. ‘Some foreign investors have set their eyes further afield, searching for enhanced yields in more affordable locations such as Manchester and other northern cities, shifting focus away from the capital while still taking advantage of the weakened pound,’ he added.